The Society for Contemporary Art is pleased to announce an art-filled trip to Washington D.C. and Baltimore, November 1– November 4, 2018. The weekend trip will include an exploration of select museums, private art collections, as well as dining at a variety of restaurants selected for notable cuisine. Hendrik Folkerts, Dittmer Curator of Modern and Contemporary Art at the Art Institute of Chicago, will leverage broad curatorial experience to shape the itinerary on his inaugural trip with the SCA. Before joining the museum, Folkerts previously held positions of global scope and impact as a Curator of documenta 14, Kassel/Athens (2014-17) and as the Curator of Performance, Film, and Discursive Program at the Stedlijk Museum, Amsterdam (2010-2015). 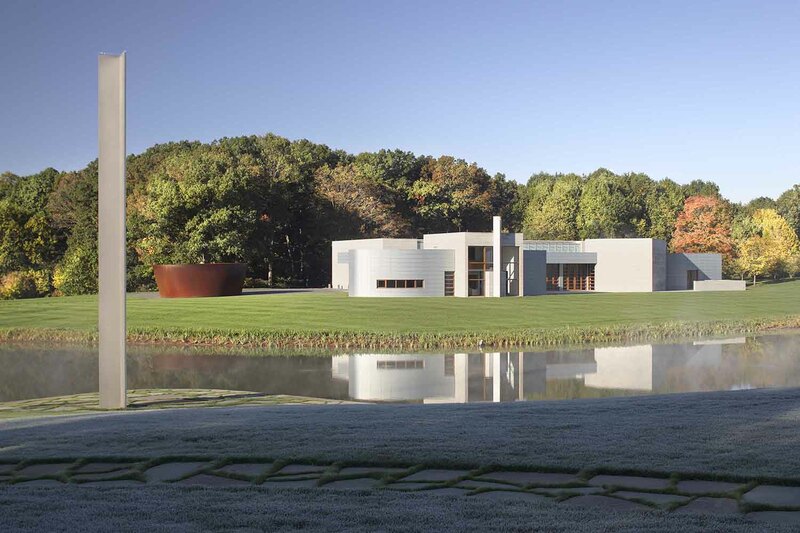 Our trip will begin at Glenstone, a museum of modern and contemporary art that sits amid 230 acres of land within the pastoral landscape north of the Potomac River. Opening in October, we will have the first look at the new Pavilions, an additional 50,000 square feet of space that will feature changing exhibitions and rooms dedicated to single-artist installations. An additional highlight will be a special visit to the National Museum of African American History and Culture, where our group will be welcomed by Deputy Director Kinshasha Holman Conwell and several senior curators before public hours. Designed by renowned British architect David Adjaye, it is the only national museum devoted exclusively to the documentation of African American life, history, and culture. While at The National Gallery of Art, curator James Meyer will lead us through a tour of Spaces: Works from the Collection, 1966-1976 which includes works by Fred Sandback, Robert Morris, and Barry Le Va. In addition, curator Molly Donovan will give a tour of Rachel Whiteread, the first comprehensive survey of the British sculptor’s work that brings together some 100 objects from the course of the artist’s 30-year career. The trip cost of $2,800/person includes a four-night stay at the Park Hyatt Washington D.C. with full breakfasts (incidentals not included); ground transportation; entrance fees and meals. There is an additional charge of $710 for single occupancy. Please note the trip cost does not include a donation to the SCA. Amounts given above the trip cost is voluntary and fully tax-deductible. Members joining our tour will need to book their own flights to Washington, D.C. on Wednesday, October 31, and a return flight Sunday, November 4 after 4:00p.m. EST. Transportation to Dulles International Airport will be provided Sunday afternoon, any other travel arrangements should be made separately. To reserve: please register online below, call 312.443.3630 with a credit card. Reservations will only be confirmed on a first received basis. A full payment for confirmed reservations required. Cancellations after October 1 date forfeit payment unless a substitution can be found.